Learning to become a pilot is a great thrill as well as an awesome experience. At Western Oregon Aviation you will experience safe, friendly, and professional flight instruction. We offer training for the individual seeking a license to fly for recreation, business, or even a career. We aim to please the customer no matter what the interest in aviation may be. 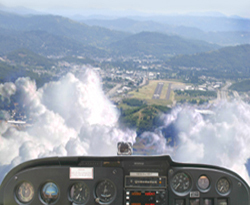 Western Oregon Aviation also offers a full line of pilot supplies, video courses and we are a FAA approved testing center for all of your FAA written exams. Training can start at any age, and is both challenging and exciting.